A man who was shot after he allegedly attacked a sheriff’s deputy with a baseball bat in Fallbrook was charged Wednesday with assault with a deadly weapon on a peace officer. Arraignment for 30-year-old Jesus Cirilo Rodriguez at the Palomar Medical Center was postponed until Jan. 11 when it was determined that he was medically unfit for the proceeding. Rodriguez faces five years in prison if convicted, said Deputy District Attorney Michael Runyon. The Sheriff’s Department said Deputy David Cortez was investigating reports of unprovoked assaults with a bat around 4:30 a.m. Friday when he found himself under the same kind of attack, allegedly from Rodriguez. 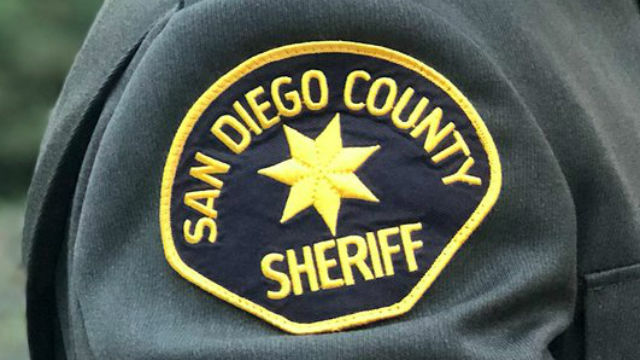 Cortez — a deputy since 2011 — was sitting in an unmarked car in the area of Reche and Ranger roads in Fallbrook when the attack occurred, said sheriff’s Lt. Rich Williams. Deputies had received three reports of unprovoked baseball bat attacks near the area in the last two days and were conducting surveillance, Williams said. During the surveillance, a man — identified as Rodriguez — walked up and allegedly smashed the window of Cortez’s vehicle, shattering glass over the interior and prompting the deputy to open fire in self-defense, Williams said. Rodriguez was shot multiple times but is expected to survive.